Cyclist AU & NZ - 05.2019 » Download PDF magazines - Magazines Commumity! 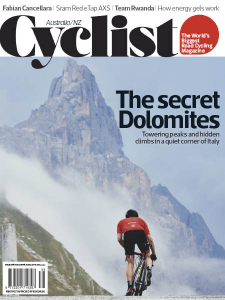 • The most exhilarating cycle routes and sportives in the world – their history, when to go and how to get the best from your trip. • The most in-depth road bike reviews and must-have gear. • Expert opinion on components, training, nutrition and technology. • The stories behind the biggest brand names and most influential people in cycling.